Guitarist Jeff Healey died yesterday after a lifelong struggle with cancer. He was 41. Healey lost his sight at a young age when he developed retinal cancer. The disease spread to the rest of his body and he had numerous treatments to stop its progress, but these all failed. Despite his illness, he recorded and toured frequently and was set to tour Europe next month. Healey had a unique style; he played guitar on his lap with his fretting hand over the top of the neck. This position enabled him to perform ferocious, large interval string bends with any finger - something ‘regular´ guitar players would find difficult. His amazing playing can be heard on tracks like, See The Light, While My Guitar Gently Weeps and his collaboration with Mark Knopfler - the single I Think I Love You Too Much. Later in his life he pursued his love of jazz and released several albums in this genre. 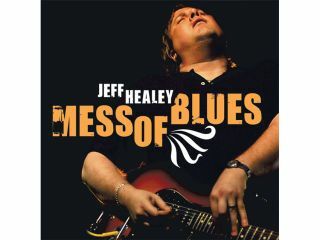 Just before he died, he returned to his blues-rock roots by recording the album Mess Of Blues.